Austin Business Litigation Lawyer, Jason Coomer handles business litigation lawsuits and commercial arbitrations including real estate development lawsuits, construction lawsuits, breach of contract lawsuits, business fraud lawsuits, partnership breakups and business dissolution lawsuits, shareholder lawsuits, breach of duty lawsuits, ownership & joint venture lawsuits, financial & broker fraud lawsuits, commercial development lawsuits, and intellectual property lawsuits. He represents businesses through negotiations, arbitrations, mediations, and trials. He is an experienced business litigator and is admitted to practice in all Texas State Courts and in Federal Court (Western District of Texas). If you need an Austin business litigation lawyer or an Austin commercial litigation attorney to advise you on a business litigation dispute, please contact Austin Business Litigation Lawyer Jason Coomer via e-mail or use our online contact form. Austin Business Litigation Lawyer, Jason S. Coomer, represents businesses that have been sued or have been brought into business litigation. He represents defendant businesses as well as plaintiff businesses, so that he understands both sides of business litigation. In working on large business litigation matters, he often coordinates efforts with other Austin Business Litigation Lawyers as well as other Texas Business Litigation Lawyers to protect business assets from lawsuits and to limit potential liability from lawsuits and other litigation. In working with litigation teams of Austin and Texas Business Litigation Lawyers, Jason Coomer has been able to protect clients from aggressive business litigation attorneys thereby protecting millions of dollars in assets as well as future profits for investment groups and business entrepreneurs. Whether the business is based on commercial real estate development, intellectual property, or other valuable assets, it is important to have experienced litigators working to protect your business. Austin Business Litigation Lawyer, Jason Coomer, also handles business litigation lawsuits where a business has been damaged by another business and needs to seek compensation through business litigation. Unfair business competition actions can arise when a business uses unfair business practices to damage another business or put them out of business. Examples of unfair business competition occur when a competing business intentionally steals trade secrets, releases false press releases, uses short term predatory pricing, demands exclusive contracts from suppliers, forces lenders to call in loans, illegally steals business, or spreads false information in the business community to damage another business or put the business out of business. Because of the size of many small business, losing a major contract, having a supplier stop providing necessary supplies, having a lender call in a loans, or one false press release can cause significant damage and even bankruptcy for the small business. Jason Coomer is an experienced litigator that is well versed in the law and familiar with the use of multimedia technology in complicated litigation. He is a former Chair of the Council Chairs for the State Bar of Texas leading all other section Chairs including the Chairs of the Business Law Section, Corporate Counsel Section, and the Real Estate, Probate, & Trust Section. He is also a former Chair of the Computer & Technology Section of the State Bar of Texas as well as several Technology Committees for several bar associations. He has been a Speaker at several State Bar of Texas Continuing Legal Education Seminars including the Annual Meeting, Bar Tech, and the Advance Personal Injury Seminar. He has spoken on the use of technology in litigation as well as has been published in the Texas Bar Journal and Texas Realtor Magazine on technology and legal issues. He is familiar with a wide variety of Real Estate Law, Commercial Law, Business Law, Computer Law, Property Law, and other complex legal issues. The Law Offices of Jason S. Coomer, P.L.L.C. represents businesses in Federal Courts, State Courts, Mediation, and Arbitration. As arbitration clauses are becoming more common, many business disputes are being taken to arbitration. As such, it is important to have an experienced business litigation attorney that understands arbitration and its potential hazards and benefits. Austin Business Litigation Attorney, Jason Coomer, has taken real estate disputes, patent & intellectual property disputes, construction & builder disputes, and insurance disputes to arbitration. Knowing when to arbitrate and when to fight arbitration is an important aspect of a successful resolution of a business dispute. Likewise, knowing when to go to court to fight a lawsuit is also a key to successful resolution of a business dispute. Austin Business Litigation Attorney Jason Coomer represents businesses in commercial litigation in Texas and Federal Courts on a variety of business issues including trademark and copyright infringement, breach of contract disputes, commercial real estate development disputes, shareholder actions, trade secret disputes, breach of franchise agreements, jurisdictional disputes, liability issues, and fraud claims. Austin Business Litigation Lawyer Jason Coomer commonly works with San Antonio Business to Business Litigation Lawyers, Dallas Business Litigation Lawyers, Houston Business Litigation Lawyers, and other Austin Business Litigation Lawyers in providing representation and advice on commercial litigation lawsuits, business to business lawsuits, real estate transactions, real estate development litigation, and intellectual property lawsuits. 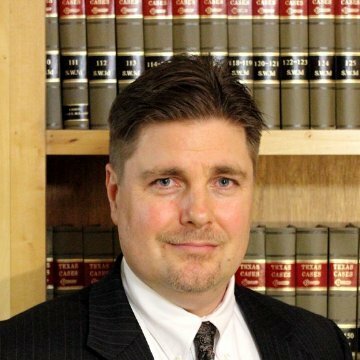 Austin Texas business litigation Lawyer, Jason Coomer handles commercial litigation including breach of contract lawsuits, fraud claims, business ownership & joint venture disputes, commercial development disputes, and intellectual property lawsuits. He represents clients through negotiations, arbitrations, mediations, and trials. If you need an Austin business litigation attorney or an Austin attorney to advise you on business development, litigation, or disputes, contact Austin Texas Business to Business Litigation Lawyer Jason Coomer.